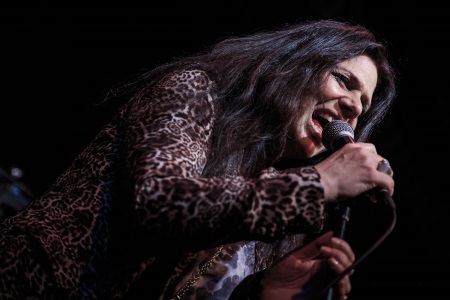 New York blues rocker Sari Schorr has been treading the boards all around the world for some time now, but it took until 2016 for her to finally release an album. The title of that album is 'A Force Of Nature' and when she takes the stage at Edinburgh's Voodoo Rooms and approaches the microphone, it's very quickly apparent where that title came from. When this woman from Brooklyn, New York isn't singing, she has a seemingly relaxed vibe about her, talking gently with the audience between songs and showing off some cool dance moves while she grooves along with her band. There is a sense of a coiled spring inside her though and when she grabs the mike and lets her true, soulful tones grab songs by the scruff of the neck the night really comes alive. On 'Damn The Reason' her excellent band set a beautifully controlled backdrop for her to start slowly and gently and build up to a deep, strong and amazingly full-sounding vocal on the chorus. The song builds and fades in turn throughout and is a great example of how you can use those dynamics effectively in a song. It helps when you have a great voice to sing it with though. 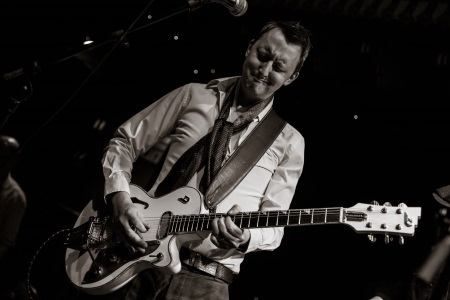 Much of the original material tonight is blues rock, inspiration from the seventies revitalised and refreshed for the twenty first century. 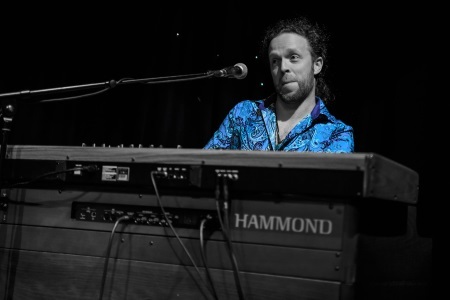 Given that this was an Edinburgh Blues Club event it was only natural that we got a purer version of the blues too and on 'Demolition Man' there was a terrific easy groove leaving space for Schorr, guitarist Ash Wilson and keyboard/Hammond specialist Bob Fridzima to all have their moments in the spotlight. The original material really worked well tonight, even brand new unrecorded tune 'Maybe I'm Foolin'' went down really well so I'm not sure they needed all the covers they included in the set. Bad Company's 'Ready For Love' and Zep's 'Rock And Roll' were well received and blues standard 'I just Want To Make Love To You' had enough tweaks to be different. The standout cover for me was 'Black Betty', this time taken on a downbeat and intense heavy blues route through all its bam-a-lams. A really original and effective sounding take on a song you thought you knew. 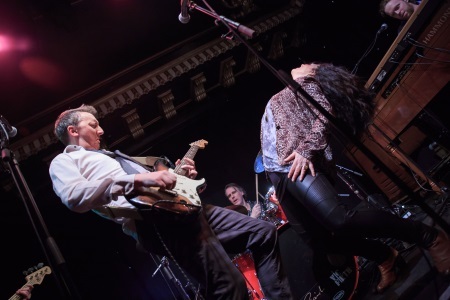 Fittingly the evening came to an end with more originals in 'Ain't Got No Money' (nothing to do with Frankie Miller this song) and 'Aunt Hazel' which built up into a frenetic, energetic finish. This was a terrific performance from someone who is definitely on the way up. 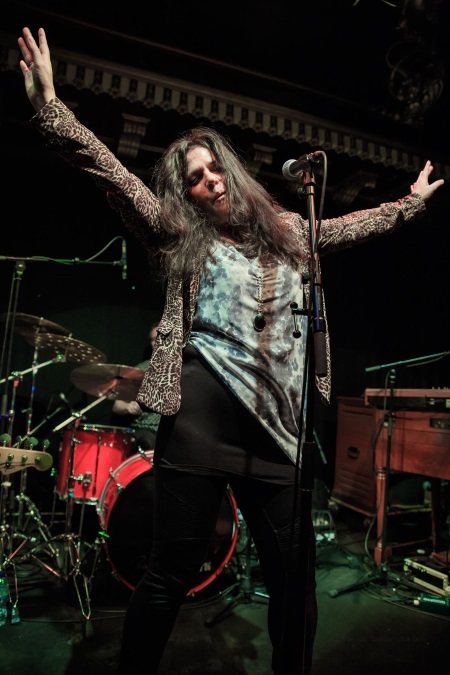 With a new album on the way and some extensive touring ahead, Sari Schorr is going to be a name getting noticed on the blues rock scene and beyond. Deservedly so.